In a time when women’s poetry centred around spirituality, she brought romantic lyricism to Kashmir. In the subcontinent, there were many women poets from all manner of social and linguistic backgrounds who dared to be "heard" and more importantly, considered their voices worth hearing. 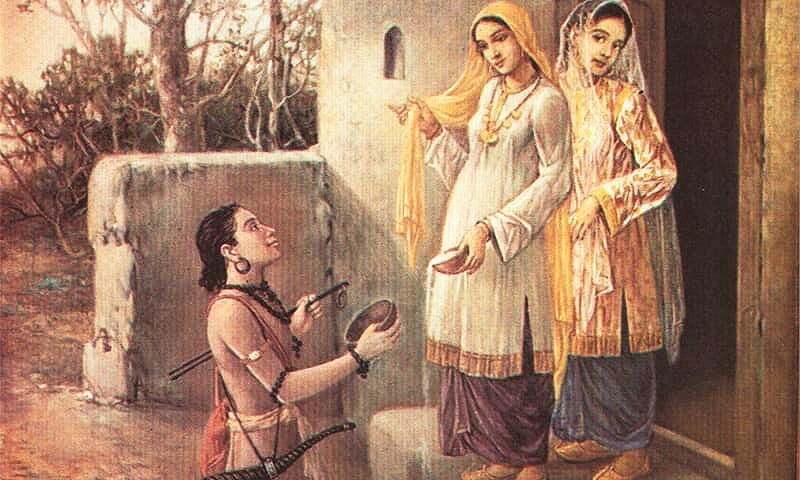 In 16th century Kashmir, one such woman was Habba Khatoon. Mughal-e-Azam tells us a tale contrary to the otherwise glorious accounts of the Mughal emperor Akbar. It tells a heart-wrenching story of a blooming romance between a courtesan and the prince, and how it was put to an end at the orders of the emperor. Although the veracity of this tale is doubtful, like all legends, it survives and is retold. However, this is not the only romance that Akbar put a premature end to. There is yet another epic, often told and retold in Kashmiri folklore, which does not find mention in popular narratives. This romance, too, was throttled by Akbar for conquest of the crown jewel of the Mughal empire — a veritable heaven-on-earth — Kashmir. Habba Khatoon, named Zoon (meaning moon) by her parents, was a Kashmiri poetess in the 16th century. Yusuf Shah Chak, the king of Kashmir, spotted her in the fields one day. Legend has it that he fell in love with the beauty of her voice and richness of her rhyme. He is said to have relieved her of her earlier marriage and taken her away to his court, where she enchanted him with her poetry, while reigning as queen for six years. At the end of those six years, Akbar summoned Yusuf Shah to Delhi. Akbar had failed to conquer Kashmir militarily and now resorted to tactics of cozenage. Upon reaching the Mughal court, Yusuf Shah was flung into prison, never to see the light of day again, and never to see his beloved Habba again. For the rest of her years, Habba pined away in an abode next to the Jhelum, where she finally lay to rest. There exists little documentation and fewer records of the story of Habba Khatoon and Yusuf Shah Chak, yet this story has been passed down for generations and it slowly, yet inevitably, found its way into historical records and books of lore. It is not only her tale but also her verse that has travelled across time to be alive and loud. The clichéd line, Nightingale of Kashmir, has often been used to describe her. She is the sound and song of many gatherings even today. Looking carefully at her context, Habba Khatoon’s verses are surprisingly bold. That she recited them in the 16th century make her words even more powerful. She did not fit into the existing lineage of women poets before and immediately after her, many of who wrote of spirituality and mysticism. She, on the other hand, brought in a romantic lyricism to Kashmiri. One can even retell her story through her verse — her poetry is biographical but also has an inherent universality, much like this verse, that possibly describes her first encounter with Chak. Wonder who showed him where I lived! Habba articulated her lived reality in verse, yet what makes her stand out is not only the extraordinariness of her life as a peasant-queen-poetess, but the articulation of desire in words that were thus far limited to men. Lit her lamp in the dark! I am the moth and you my lamp! Habba dared to name and beckon her lover, a significant role-reversal at a time when women were only the objects of desire and only the recipients of proposals of love. The relatability in her verse didn’t stop at descriptions of conjugal love. Habba lent her voice to the banal chores of everyday life, singing as she went along. It is no wonder then that her verses gained widespread popularity in the region. She wrote of miseries inflicted upon her by her in laws and of the perils of physical labour. Her descriptors of sweat and toil are also beautifully poetic. Much of her poetry is rooted in the flora of Kashmir: descriptors of hills and streams, flowers and fruits that lend a truly paradisiacal quality to the Kashmir she describes. While we cannot be certain that she was the only woman poet of her time, she was certainly the first to usher in a lyrical age of romantic poetry in the memory of Kashmiri literature. Her successor in this genre would not show up until two centuries later in the form of poetess Arnimal. Of the repertoire of songs and poems in her name, scholars say, only a handful can be indubitably attributed to Habba. Her position and her story made her worthy of memorialising. Passed down orally in songs that have been sung by women across centuries, it is likely that Habba’s words have been modified, reinterpreted and reimagined by many other unnamed voices. All these voices may have eventually contributed to the myth and legend of Habba Khatoon. Given the universal relatability of her verse, it would not be surprising if Habba’s voice has carried the ideas of many lyrically gifted women of Kashmir since. Habba has been a subject of fascination, be this very early film or Muzaffar Ali’s attempt to recreate her story on the Hindi film screen. In Kashmir, a recent surge in reinventing old Kashmiri music as pop is a trend and many contemporary musicians, often men, have put Habba’s songs in verse and lending their voice to it. Listen to a traditional rendition of her most famous poems here, a reinterpretation here and another of her spiritual poems here. Prachi Jha studied literature and runs an NGO called Life Lab Foundation. She curates Daak (daak.co.in), a weekly newsletter and website. It is a collection of unknown stories, artworks and ideas from women and men who have shaped South Asia's cultural heritage. Great Article Dawn .. After Yousuf Shah Chak’s reign Kashmir has been occupied and peace taken away.Habba Khatoun’s poetry still resonate throughout valley. Her mournful and profound verse never fails to bring tears to my eyes. It's amazing how what she wrote 500 years ago as a sorrowful woman horribly mistreated by her in-laws serves as a sordid metaphor for the entirety of THE Kashmiri story. Her poetry manages to encapsulate the grief and desperation of the whole struggle. Great read. Congrats and thanks for enlightening us who had not heard of this legend Habba Khatoon. May she R.I.P eternally. 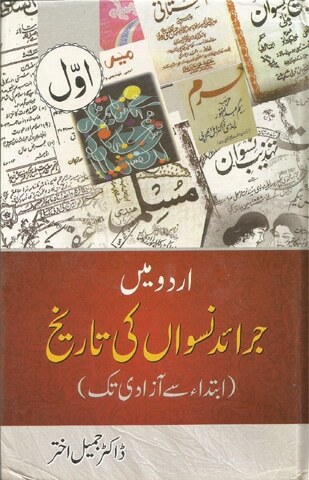 Her poems need greater exposure to the world for her writings are a priceless gift to Kahmiris and the world. Please keep this story alive. Did Akbar hate to love? Beautiful appreciation of Habba's poetic genius, reminding me of W. Wordsworth's Solitary Reaper. 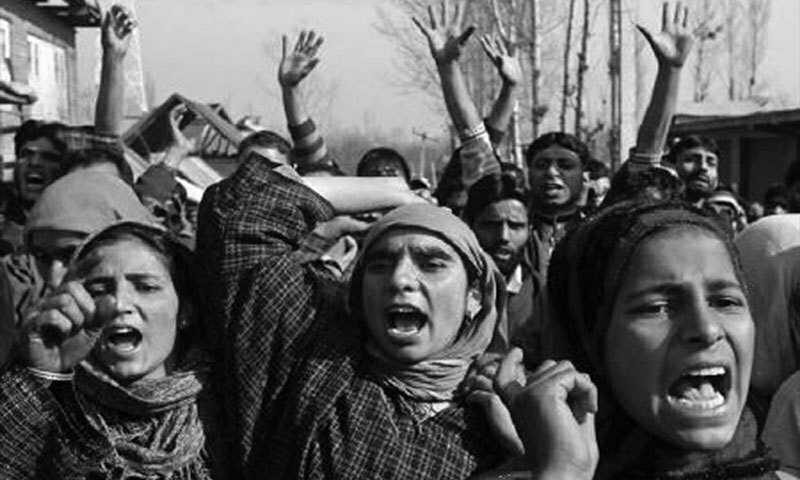 Land of love has been turned into a land of hell for the Kashmiris by the Indian military forces. In contrast, Azad-kashmir is still the land of love and peace since they are with their mother country created for Muslim majority regions - and Indian occupied Kashmir is not. @Brar Exactly where is this place where she is buried?